Northern Territory of Australia, and Anglo-Australian/German/Irish/Chinese heritage. She has been involved in the Indigenous and broader contemporary arts and cultural sectors as an artist, arts administrator, curator, academic and consultant for over three decades. Brenda is Associate Professor of Indigenous Art History and Curatorship at the Centre for Art History and Art Theory, College of Arts & Social Sciences, ANU. 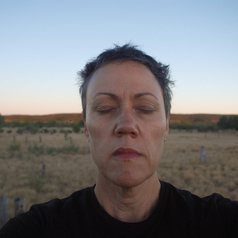 Brenda’s cross-disciplinary practice-led research encompasses critical performative Indigenous auto-ethnography, representation and identity, Indigenous Storying and creative narratives, installation, multi-media and multi-platform work, personal and public archives, memory and memorialisation. Brenda has a long-standing engagement with patrilineal family and community members, both on traditional homelands and also as part of dispossessed, Gurindji-affiliated communities. Her doctoral research project 'Still in my mind: Gurindji location, experience and visuality', a collaborative exhibition with Karungkarni Art & Culture Aboriginal Corporation, UNSW Galleries, UNSW Art & Design and UQ Art Museum, commenced a national tour from September 2018, through to 2021.